Michael Easton and Trevor St. John Talk About Mutual Admiration, Collaboration & Hopes For Their Short Film, ULTRAVIOLENT! Photo Credit: MF Soaps, Inc. 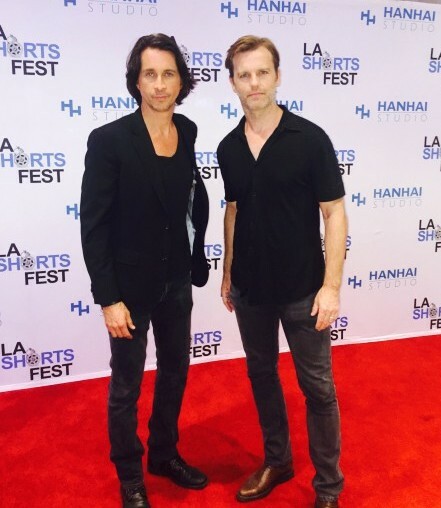 This past Wednesday night, former General Hospital and One Life to Live star Michael Easton’s short film Ultraviolent starring his best friend and OLTL castmate Trevor St. John was screened during the LA Short Fest. The international festival showcased some of the most talented filmmaker’s works from around the globe, and some of whose short films will be eligible for Academy Award competition. Easton who wrote, directed, and produced Ultraviolent, chose none other than St. John to play the lead in the short film based upon the life of avant-garde film director Donald Cammell. In the film as in his real life, Cammell shoots himself in the head putting an end to a lifelong obsession with art, insanity, and death. All the more impressive is that Ultraviolent was shot over a two night period, and yet Easton was able to come out with this true piece of cinematic art. Ultraviolent is all St. John commanding the screen in an incredible performance that left audience members breathless. His acting talents were on display against the visual imaginary, editing, and creative storytelling under the direction of Easton. On-Air On-Soaps caught up with Michael and Trevor immediately following the L.A. screening to get their thoughts on: collaborating on the project, how they chose to portray the life of the eccentric and troubled Cammell in their short film, shooting on such tight time constraints to get the desired effect, and their hopes for the future life of Ultraviolent. Fans can view the trailer for Ultraviolent below! Then let us know, would you like to see the short made into a full length motion picture? What did you think of these two talented gents comments about each other, and the emotionally riveting short film? Does the trailer and Michael and Trevor’s thoughts on their collaboration make you want to see more from the former stars of OLTL? Share your thoughts in the comment section below! Who's Framing Chad DiMera For The Necktie Murders On DAYS? 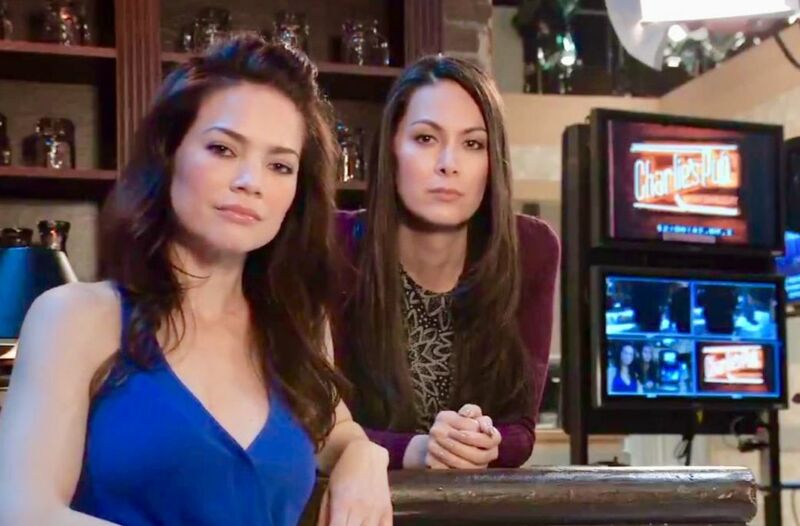 RATINGS: GH Continues To Perk Up! DAYS Down! Y&R Ep Hits 5 Million Plus Total Viewers! I’m really hoping to catch a screening of Ultraviolent and would absolutely love to see it made into a full length motion picture. The trailer was amazing. I am looking forward to anything these two extremely talented men create. I’m a huge fan of both men. I can’t wait to see this film and will continue to follow both men’s careers. I would love to see more! It looks and sounds commanding and emotional. God, I have to see this, give me details on how I can!!!!! Need to see a full length movie after that teaser!!!! Please??? I hope this gets screened in New England. This week a friend asked on FB what song would you do in lip sync battle. I posted a clip YouTube clip, Memo From Turner from the movie Performance!! To see ME & TSJ referencing the same movie, that I hadn’t thought of in years…. Nobody plays messed up better than Trevor. I wish Michael great success with this short. I’m sure he has a future in this, his “wheelhouse”. Wow about the trailer was awesome I wish I was there and the screening because know it was amazing. I think I would really enjoy it. Trevor St. John is an amazing actor. I fell in love with his work during his time on OLTL. He can play so many diverse layers of a character. I’ve only known Michael Easton’s work as an actor and love him too. I’m very excited to see another avenue of his creativity. The trailer is riveting. I definitely want to see Ultraviolent. So happy for Trevor. He is such a talented actor. I wish him all the best. Oh wow. How I love Trevor St. John! I would love to see this. Me as well. Trevor is the real Todd Manning. Great piece! These two gents are true talents and I am happy to know that greener pastures await them. They both deserve it. Michael has the artistic deep dark in him sorata like Stephen King kind of mind.. I have read his writings and they are spellbinding. Trevor is a great actor in many directions he and Michael make an awesome team.. I see success ahead for both.. 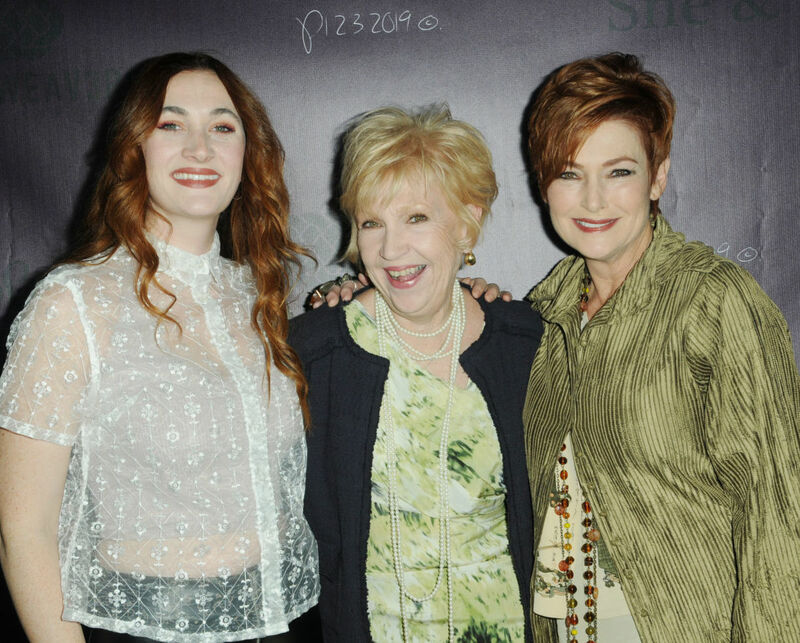 I truly love these gifted actors!!! They are a rare treasure on T.V. And in Film . Trevor St. John I can’t keep my eyes off you, one of the best actors of are time, truly magnificent!!!! 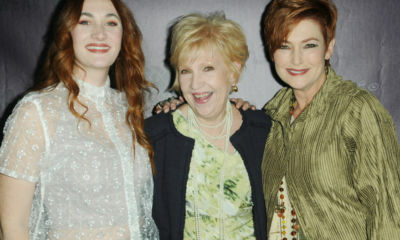 Loved you in Finding Normal a warm hearted spiritual family movie . The grief of other what a wonderful film . I’ve been watching you since you first appreard in Llanview on OLTL!! Michael Easton’s “Ultraviolent” was disturbingly AH-mazing. The nuance and honesty in his work is unparalleled, no matter what artistic expression he uses. Trevor St. John’s performance was powerful and mesmerizing. Together, these two are MAGIC on the screen. FABulous interviews Michael Fairman…TY! Look at these two guys, I would cast Trevor as Billy Abbott and Michael as a new detective for the GCPD! Wasnt a fan of Silas but Michael seems like a good guy. Never saw Trevor act but heard a lot of good things and his name alone would carry some weight in casting him as Billy Abbott. The current Billy is horrible! Hi Timmm…Trevor is an excellent actor but wanted off OLTL for awhile before anyone suspected the show would be canceled. They wrote him out and brought back Roge Howarth who played Todd Manning before him. Trevor’s Spain in interviews he then changed his mind and decided to finish his role as Todd when they learned it was going off the air…but it was too late by then. 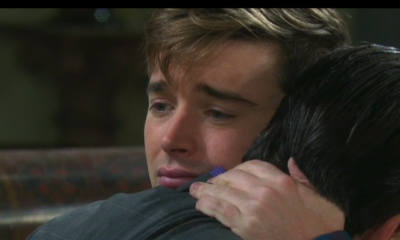 It wasn’t that he didn’t love his role or the soap, but he stated that he never intended to stay so long on any soap. Wanted to do theatre and film. All this to say if his mindsrt is the same he probably wouldn’t be interested in a long term soap role. I would not normally be attracted to this type of movie, but I am such an avid fan of both Michael Easton and Trevor St. John that I would definitely want to see it and also see it as a full-length feature. I loved watching them both on OLTL and I always felt that Trevor St. John, especially, was an intense, incredible yet underrated and under-appreciated actor. I always look forward to seeing both of them on the screen(s). I agree with you Karen, not my type of movie. I so loved you Michael on GH and hated to see you go. I would love to see the full length feature, to show me your talent. By the way Michael, my grandson’s first name is Easton. Is that your family name? Movie for sure. Michael and Trevor are great actors!!!!! Of course I would love to see a full version. I think both Michael and Trevor are brilliant actors. It’s not often you find actors that bring characters to life like these guys do. When they play a character, they put their heart and soul into it. Yeah! Michael and Trevor this is the start of a long relationship of genius. We are so happy when we are kept posted during your journey as you venture into your own creations. I really enjoyed what I have seen and read so far. You, Trevor and your team rock! My opinion? Of course, a movie needs to follow! !!!!!!! 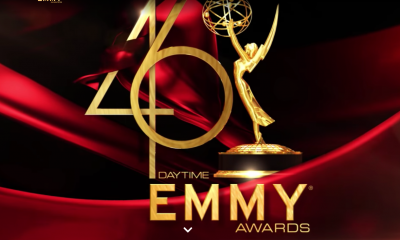 Michael should have been hired on as a writer for GH and possibly director..
he is knowledgeable with soap scripts..
trevor st john & michael easton together are a force to be reckoned with – i would definitely like to see a full length movie………………. Would love to see this made into a full length film. I love both Easton and St. John as actors and look forward to seeing more from both of them. I am very interested in seeing a full film of this. I know how good you both are and I think it would be very good. Love these guys! Wishing them great success! Thanks for another great interview. These are 2 of my favorites! I actually had the great privilege of going to the L.A.gilm fest on Wednesday and viewed Michael Easton short film and it was amazing. I loved Michael and Trevor on oltl and knew these actors were talented,but they showed a different side of to their talents. Would love to see the full version of this story. I loved the clip, and would like to see more. Will it be on Netfix, Hulu, or Amazon. I am a fan of Both Michael and Trevor. I love both of these men! They are truly a class act. Trevor is amazing and his portrayal of Todd Manning was truly amazing. He was truly robbed of the Emmy when Todd almost died on death row. Wonderful man. Michael is right about Trevor, he doesn’t know how good he truly is. Michael is truly the best! he is always so great to his fans and his work is outstanding. I would love to see this project in full length. Great interiew as always, thanks Michael! It’s great seeing their frienship and mutual admiration! I do hope they make this into a full lengthed feature film. I know it would be amazing as is the short from what I have seen. I was thrilled it won a best of show award! Michael told me he submitted it to the Nashville Film Fest just for me, so I will see it then. Trevor is my favorite actor and is the reason I miss OLTL. John is also one of my favorites. I can’t wait for Trevor’s debute in his new TV show. I would love to see him with John again. Trevor is destined for greater things. An Oscar someday? I hope!!! !